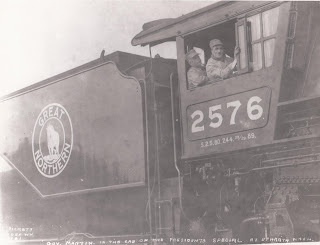 Allen adds: "This picture concerns the Presidential Special carrying Franklin Roosevelt that was run to Ephrata for the ground-breaking ceremonies of Grand Coulee Dam that was covered in newspaper articles in your site. 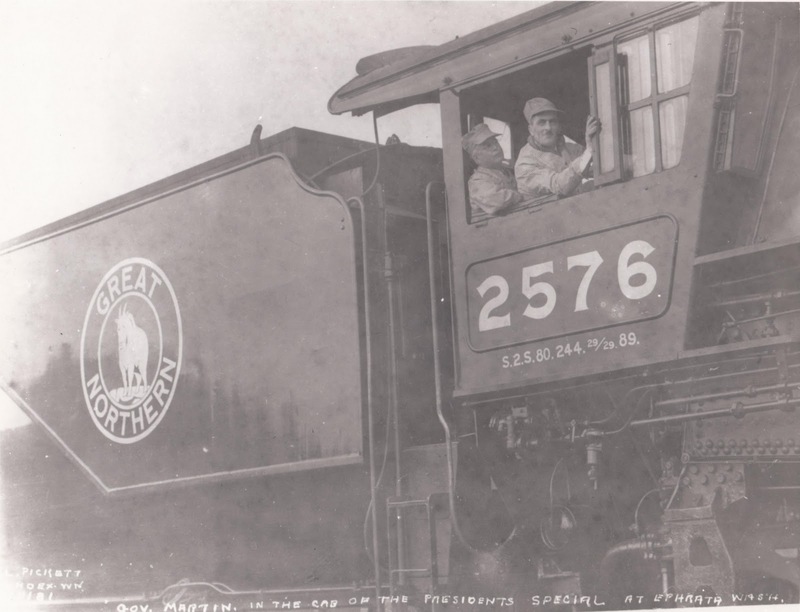 It is dated October 2, 1934 and shows Washington State governor Martin in the cab of G.N. S-2 class, 4-8-4 Northern No. 2576 at Ephrata with engineer Danny Loughlin."